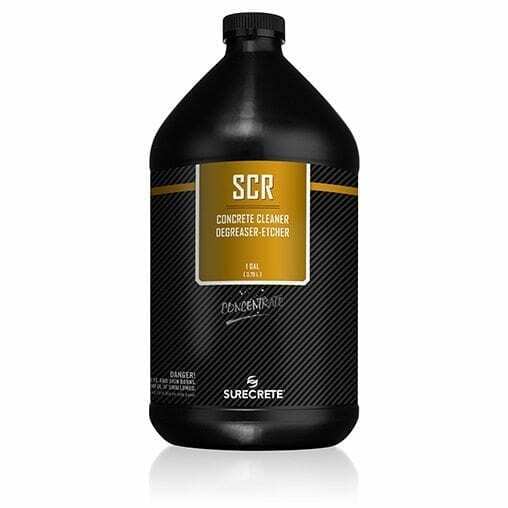 SCR 1 Gallon by SureCrete is a concentrated concrete cleaner, degreaser, and etcher which is a safe alternative to muriatic acid. Manufactured for the solution to go into the pores of the concrete and bubbling the impurities out to be rinsed away. Learn how to clean concrete, cement, bricks, and pavers. Super Concrete Renovator (SCR) is also eco-friendly.